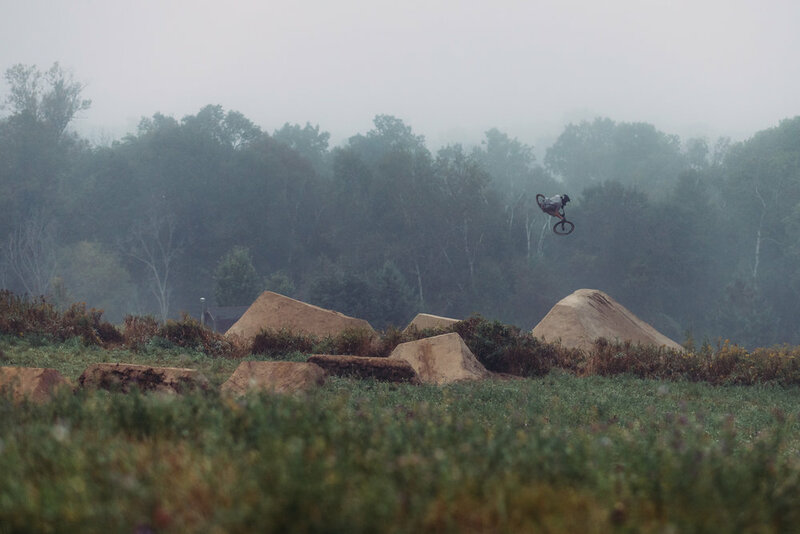 I jumped at the opportunity to go to Mount Albert Ontario with good friend Harrison Mendel for two weeks and document the life of Brett Rheeder, one of the worlds top mountain bike slopestyle athletes for Shimano. A custom course was created for the project which would allow Brett to showcase some of his best tricks and show the world what is possible on a bicycle in a place as flat as Ontario. Brett enjoying the county life in Mount Albert, Ontario.